The Chico Network sees around 2200+ active players at peak times, around two thirds of those in tournaments. What Chico lacks in rakeback, it makes up for with easy games. US Players who prefer rakeback should check out Americas Cardroom on the Winning Poker Network. Betonline does not offer rakeback or VIP rewards, however the games are recreational-player heavy which can make up for the lack of cashback. Many casual players (‘fish’) flow in from the Betonline’s casino, sportsbook and racebook. US players from every state are accepted on this Chico Network skin. For US players who prefer rakeback over juicy tables, Americas Cardroom has 27% rakeback on demand. RoW players (those outside the US) should join the Chico network via the Tiger Gaming skin, not Betonline, because Tiger does offer a VIP program. The software and playerpool are the same. High volume rakers can earn some cash rewards equivalent to rakeback. 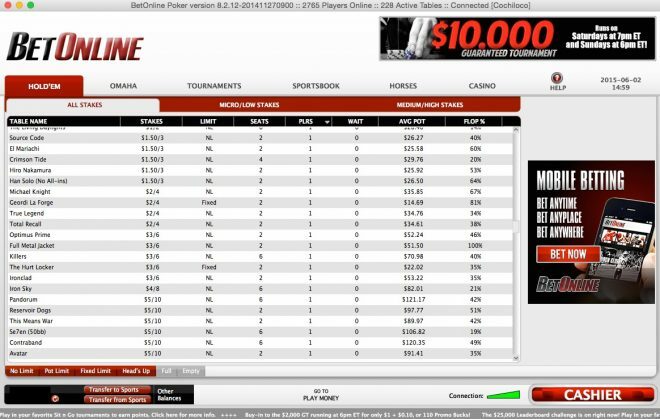 Betonline holds a monthly $20k cash game rake race, paying prizes to the top 200 leaderboard finishers. For tournament players there’s a monthly $20k MTT challenge that pays out the top 100 finishers in each of three categories: low, medium and high buy-ins. Betonline’s initial deposit bonus for new signups is 100% up to $2,500, cleared in $5 increments per 1,500 Comp Points earned. Use bonus code NEWBOL. Minimum deposit $50. Players earn 10 Comp Points per $1 rake paid in cash games, or 100 per $1 in tournament fees. Therefore the deposit bonus is worth 3.33% rakeback for cash players, or 33.3% for MTT/SNG players. New signups have 60 days to clear as much of their welcome bonus as possible. 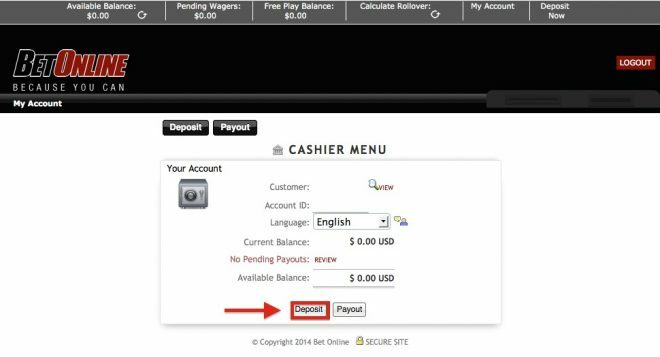 Email support at [email protected] to receive your bonus after depositing. Read more in the full Betonline review. No rake is taken from preflop pots or uncalled hands postflop. The rake increments and rake caps below also apply to Tiger Gaming. Betonline uses the weighted contributed rake method. The highest cash game stakes are $5/$10. 1991 — Betonline’s management, including Eddie Robbins III, establish a strong reputation in the online casino and poker industries. Sep 2004 — The Betonline site itself is formed. 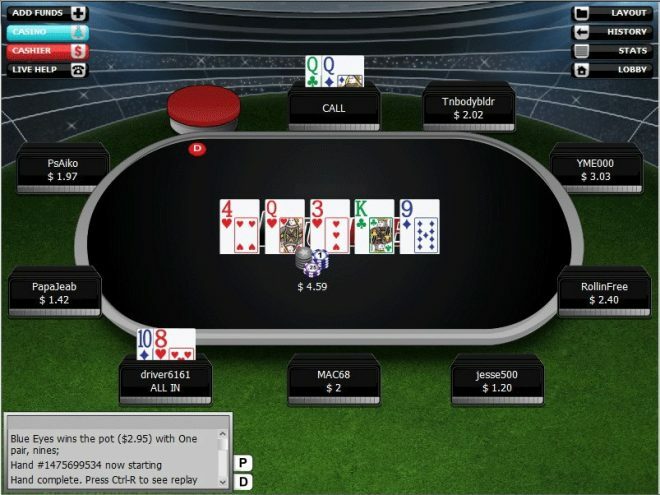 Oct 2011 — Chico Poker Network acquires the Action Poker Network. Jun 2013 — New Chico management resolves issues with delayed payouts across the network. Aug 2014 — The rake structure shown in the table above came into effect. 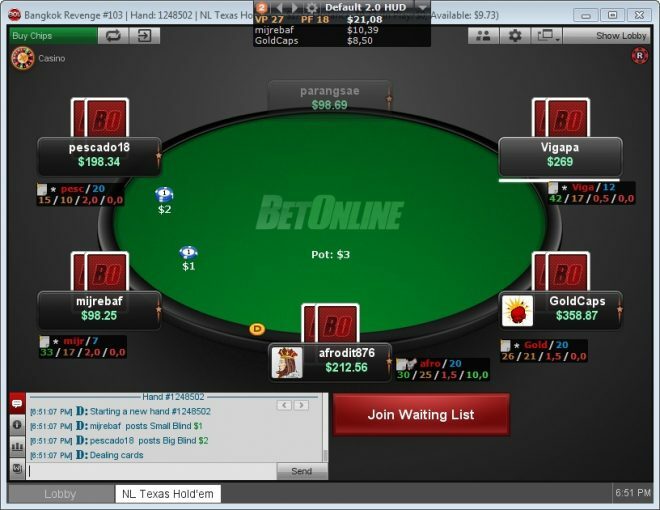 Betonline is the US Facing skin of the Chico Poker Network. 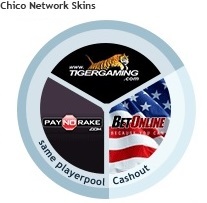 RoW players interested in Chico should join Tiger Gaming for more rakeback and rewards. Paynorake, previously on the Chico network, has now closed operations.